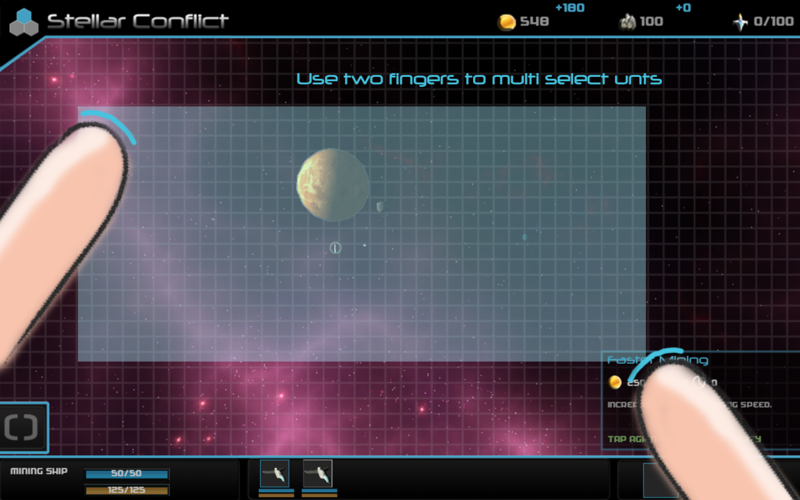 Stellar Conflict is a Real Time Strategy Game set in the year 2185. The game will feature a competitive Multiplayer which will incorporate Social Networking features to enhance this experience. Stellar Conflict will Include 12 Skirmish maps when we release the game in late 2013, with new maps being released for free in frequent Map Pack Updates. Stellar Conflict will also include a large range of unique ships that will help you conquer and defeat your enemies. There will be 3 types of ships, Fighters, Cruisers and Destroyers and you will need to utilize all three types of ships to win. 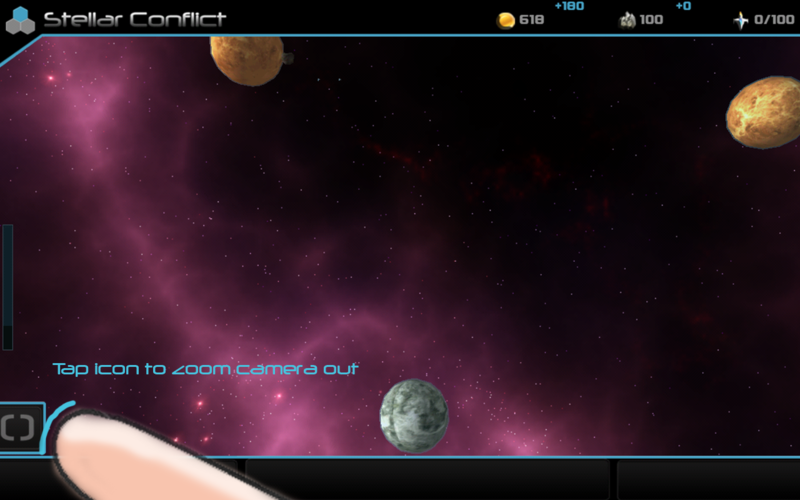 Stellar Conflict will also contain a 3+ hour campaign that will keep you engaged when you are unable to play online. This campaign will be split into smaller 10-15 minute missions for easy pick up and play gameplay. The Multiplayer portion of the game will have two different game modes on release. The first, is the typical Skirmish Game Mode where you can either battle your friends or an AI opponent. You are able to play with up to 3 other players depending on the skirmish map. The other game mode is Survival. In this game mode, you are given a point of interest in the map which you must defend. Resources are shared with your team mate, so don't waste your precious minerals. 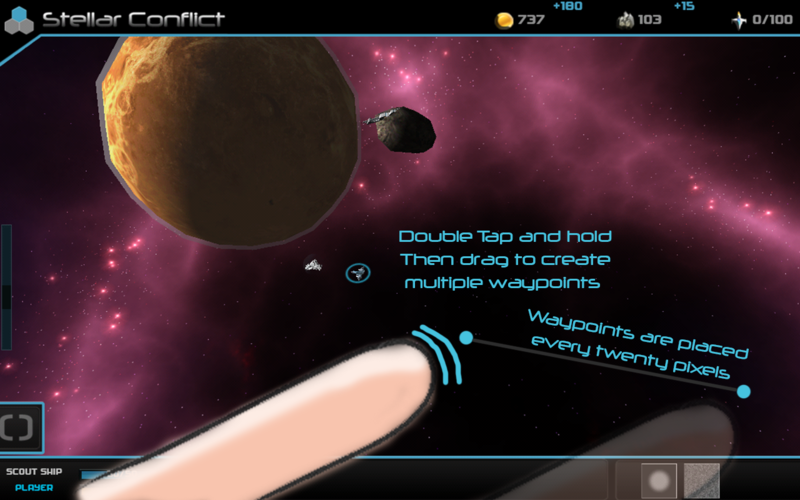 This week has been a very quiet week in terms of developing new features for Stellar Conflict. We have all been busy with new assignments and exams. Instead this week, we focused on the design of the game, as well as revamping our website. I have started to completely revamp our website, adding new screenshots and starting to add some blog posts onto the site. The website is still a work in progress and I will be adding new content to it all the time to make it look more professional. Tap 2 Connect is our social networking aspect of Stellar Conflict and will be incorporated into all of our games in the future. 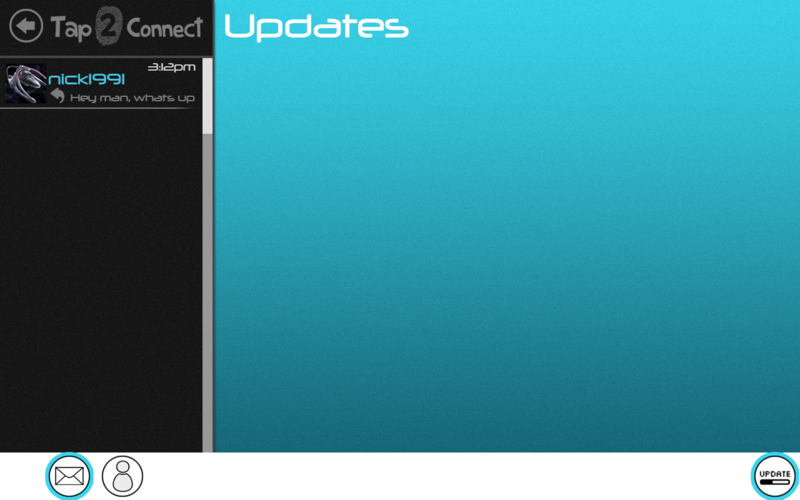 Tap 2 Connect will allow you to add friends, view achievements, send messages and view news regarding 2D Tap Studios. We may also add an updating feature where instead of downloading the entire game again when we update, we will release smaller patches in the app that can be downloaded to fix bugs and add new content. Tap 2 Connect Messages tab. The left section is seperate to the right so you can quickly view and reply to messages. 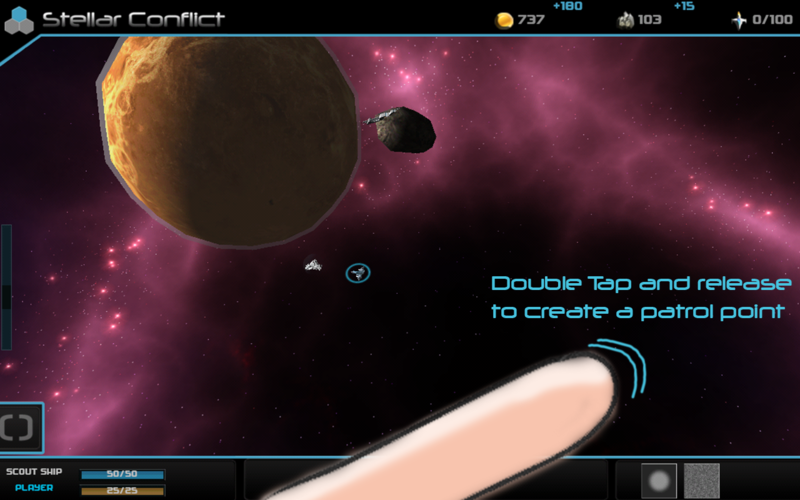 Private messages can be sent to users at any time due to the fact that the Tap 2 Connect overlay can be accessed at any time by tapping on the Tap 2 Connect logo which is located in the main menu and while in game. Tap 2 Connect Friends list tab. This tab allows you to quickly see which friends are online. You can add a new friend by either tapping the + sign and typing in their username, or when you verse them online by tapping their profile and clicking add friend. 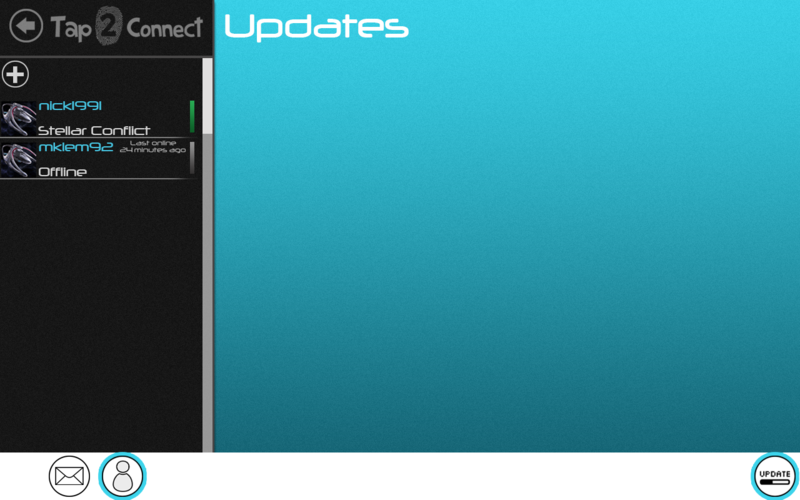 The friends tab is a great way to keep track of your friends to see who is online. If you are in the same game as a friend, you can tap their profile and either send them a private message or invite them to play a multiplayer match. 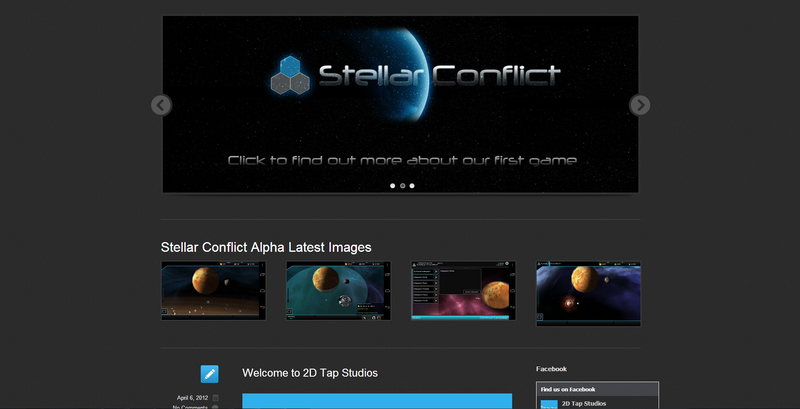 Thank you for checking out Stellar Conflict! looking good! is a linux version planned? will this be a free game or purchase only? It will be a paid app on the iOS App Store and Android Play Store. We are still working out prices, but we are thinking between $2-$4 for the Mobile version. We are working on a PC port as well but we haven't thought of pricing for that version yet. oh....i guess it makes since, looks nice. also, dont leave the lower end PC users in the dust, like most games. Yeah we are trying to create a High Quality Mobile Version that will offer a large amount of features that seem to be lacking in the current RTS games that are on these devices. Thanks, we are still early in development and we will be increasing the graphics even further with particles and environment assets. We will be optimizing the PC version to make sure it will run on low end hardware.